The latest Nintendo Download Update details are available for Europe, with a major retail title leading the way on Wii U. There's some classic strategy on the home console, too, along with DLC and some download-only options across both current-gen systems, including a season pass on 3DS (yes, really!). Let's get do it. Chasing Dead (2020 Venture, €29.99/ £24.99) - There are only a handful of first-person horror experiences on Wii U, with this FPS keen to add itself with distinction to that list. The plot is a complex one involving manipulation of time and space along with evil doppelgangers; we suspect the main goal is to shoot everything in sight, but we'll get blasting on a review and let you know what it's all about. Grumpy Reaper (EnjoyUp Games, €4.99 / £4.49) - An 'arcade-style' game with a quirky concept, you play a reaper that mows the lawn to contain escaping spirits and dead creatures, or something... It could be fun, we'll figure out what it is for a review. U Host (Bear Box Media, €9.99/ £8.99) - An interesting idea for party hosts with a Wii U, as this promises the ability for you to create your own quiz show either using 1000 pre-loaded questions or by creating your own. We'll tidy up our hair, whiten our teeth and present our review to you soon. Advance Wars: Dual Strike (Nintendo, €9.99/ £8.99) - One of the much-loved entries in this Intelligent Systems series, its arrival may help appease those waiting for the latest 3DS title (Fire Emblem Fates) from the studio or those wondering where the Advance Wars series has gone. This was the third entry in the series and the first on DS, offering plenty of drama and strong strategic gameplay across two screens, in this case putting the GamePad and TV to work. We'll get working on a review. 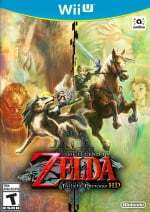 The Legend of Zelda: Twilight Princess HD (Nintendo, €49.99 / £39.99) - The 30th Anniversary of this series gets well and truly underway with a HD remaster boasting spruced up visuals, improved controls and amiibo content. We were full of praise in our review, and also recently learned more about the game in an interview with Eiji Aonuma and Tomomi Sano. Available from 4th March. Musicverse: Electronic Keyboard (Abylight, €7.99/ £7.19) - The 3DS eShop has had quite a few music creation tools, with this one keen to promote sharing options through Miiverse, QR codes or simply through saving the AAC file to your SD card. It has a whole load of variations in sounds and settings, along with video tutorials to help you along - we'll search for the right notes and bring you a review. Parascientific Escape Cruise in the Distant Seas (CIRCLE Entertainment, €4.99/ £3.99) - Another intriguing import from CIRCLE Entertainment; you play as a Japanese High School student with two psychic powers who also happens to be trapped aboard a cruise ship. We'll set sail and work on a review. No launch promo/discount on TP HD Nintendo? Then I'll wait a few more weeks until you launch the My Nintendo loyalty program to start purchasing in the eShop again. Although Advance Wars: Dual Strike is considered the worse out of the 4 released in the west, it is still a fantastic game itself and I would highly recommend it. Instant buy for me. I wish they would give us the US version, since two Black Hole COs are now called Candy and Zak, instead of Kindle and Koal, but that's a minor complaint. Probably not going to buy twilight princess with that midi sound blooping. Game is great, though. 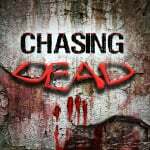 I'm curious about chasing dead. Let's see what the reviews are up to. The eShop price for Twilight Princess is a disgrace, Nintendo have some neck. It's a digital copy of a 10 year old game that's had very little work done to it. It should be budget priced. I'm getting the Collectors Edition delivered for €1 more and that has the physical game, Wolf Link amiibo and soundtrack. Money is tight this month, I'll get physical with Zelda next month! Chasing dead actually happened! Wow. I hope it's good and runs well. Not too many fps' on Wii U. Twilight Princess HD retail and Advance Wars Dual Strike. It's cool seeing Advance Wars getting recognition outside of a Smash assist trophy given the franchise has been on hiatus since 2008. Will get Advanced Wars and TP. Does anyone know if the new reward program will include eShop Purchases between Club Nintendo shutdown & the new service (back dated purchases) ? @Ootfan98 For something releasing in March (note that tomorrow is March 1st), we really know very little about MyNintendo. Another horrible week for Nintendo downloads IMHO. 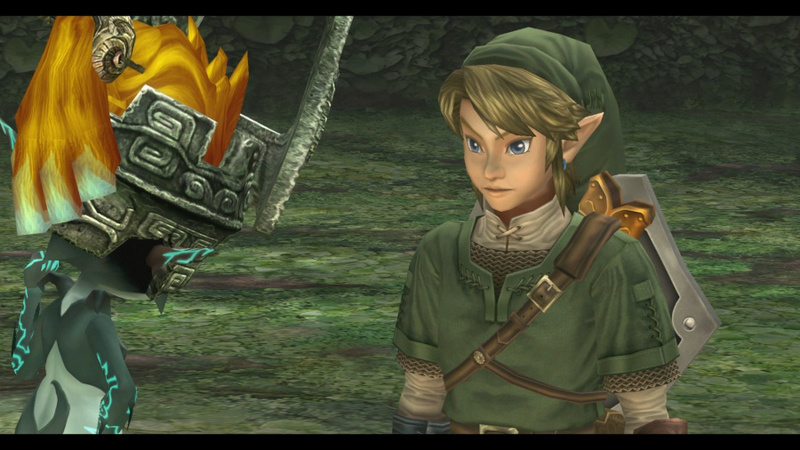 I think I'll get Twilight Princess HD on retail. Resident Evil Revelations (Wii U) for 10€ is also a tempting offer, as I enjoyed the 3DS version. Err, Lego season pass for 3DS but not for Wii U...hmm. Getting TPHD retail. @Grumblevolcano There was an info-graphic from the presentation showing that My Nintendo etc launches in mid-March for Japan and late March for EU and US. Don't know if it was accurate or not, but yeah, not much info on it for something that is pretty imminent. And still no FE release date. @Ootfan98 I'm hoping that too, but there's been no word on it. We might get clues from the Japanese launch. "HD remaster boasting spruced up controls..."
Downgraded controls in TP HD, morelike. No reason to buy this inferior port. The Wii U version of Advance Wars DS is also undone by the lack of control options. The DS version didn't require the touch screen for any of the main modes, why does the Wii U release require using the terrible Gamepad? Chasing dead sounds interesting! I await the review . Also, role who haven't yet should puck up Re revelations on either system. Great price atm! Getting a few games this week, TPHD physical of course, also, Resident Evil Origins on the xbone and Tales of Symphonia Chronicles for the ps3 too, should keep me busy for a couple of weeks. Advance Wars Dual Strike is pretty amazing if you're into turn-based strategy, the game absolutely oozes with content. I personally prefer Days of Ruin over it for the slightly more serious setting and more balanced gameplay. But really you can't go wrong with either. @KoopaTheGamer If you're willing to pay something between 4 and 10 euros more, you can get the physical version. I'd say it's worth the investment. I'll get Twilight Princess HD if I can find the Collector's Edition for under £40. Charging £40 for download only is a disgrace. @Sakura I think the Wii U season pass for Lego Avengers came out a few weeks ago. @Marce2240 I'm fine with digital version; I have 2TB external hard drive, so space on my Wii U's hard drive is not a problem. @RainbowGazelle Oh, thanks! Haven't got it yet and was debating which version might be better so it makes a difference if they both have the season pass. In other news, the Wii U gobbles up portable titles as usual. @erv It's probably not been updated because it's not Nintendo doing the remaster. I have my Zelda on pre order and still have my copy of Advance wars. I really recommend advance wars to people,well worth the money. Tempted by RE Revelations on Wii U but I heard it suffers from dead zone problems and no wiimote support (same issues I had with Deus Ex, which forced me to stop playing it). TP HD Collectors Edition will be a retail job; managed to snag it on Amazon for £35. Anyone please, which should I get? Resident Evil Revelations on 3DS or Wii U? I have a new 3DS so not sure how the dual control scheme will work. Thanks. @KoopaTheGamer Cool. I'm the opposite, I'm collecting physical Wii U games, so I didn't wait for a sale. Definitely get it, then. Raid mode alone makes it worth the price. Strangely enough I've been playing Dual Strike on my 3ds the last few weeks. Don't see any point downloading it. Wish I had the time for TP HD, tried twice on the Wii and lost interest. @Sakura The Season Pass has been available on Wii U since day one. Though I didn't even think there would be a season pass on 3DS so I'm not sure if this information is totally accurate. I'm getting the special edition of Twilight Princess HD. I have the original Wii disk somewhere but I never played it, so I may as well skip it and go straight to the remastered version. @wazlon I personally enjoyed it more on 3DS, even without circle pad pro. It looks better on small screen and the Wii U version has minor problems with the controls (dead zone, silly strafe movement). Both versions are good though. Was hoping for a discount for TP. Dual Strike is great but its main innovation, dual CO powers, completely ruins it. Having two turns in a row (in addition to the actual CO powers) seriously unbalances battles. Advanced Wars for me this week and I've Twilight Princess physical on order also plus really want Chasing Dead but that price tho. Doesn't look like anything good for me this week. I've pre-ordered a physical copy of Twilight Princess HD, so won't be downloading it. I hope the sale price of Rage of the Gladiator comes over to America. I'm curious about the game and 50% off sounds great to me. And Twilight Princess HD first day purchase this Friday! Nothing for me this week, although I'm getting the physical version of TP HD. On a side note; I downloaded and completed the demo of LEGO Avengers the other day... What a load of garbage. T_T So unpolished, it's sad. Nothing for me personal though Twilight Princess & Advance Wars are rather tempting as I've never experienced 'em before. Couldn't resist any longer though after hearing & watching more on Return To PopoloCrosis so decided to put my funds towards an import copy of that & an NA 2ds instead being payday and all. Advance Wars Days of Ruin and LOVED IT!!!!! Come on NOA give us Dual Strike this week!!! I'd love to try TP, as it's one of the only Zelda games I've never played. But having already waited however many years, I can wait that bit longer for it to drop to a reasonable price. @Ootfan98 Wish they'd let us know. Have held off eshop purchases for a few weeks just in case. Not long now though and we'll know for sure. @Scapetti I must have missed it. Surprised there are season passes at all after other games missed out. Eur 50 for a game I already own, you must be kidding me. Must be awesome review to convince me. Like the Resident Evil discount though. Why wont Nintendo release GBA games on the 3DS?! I want to play handheld games on my handheld, not a console (exacerbated by the fact I don't own a WiiU)!! Would love an Advance Wars game...seeing as they're making us wait for Fates. Where is Friends of Mineral Town for Europe? It has been out for ages in the US. Come to think of it where is More Friends of Mineral Town? Hope the e-reader Super Mario levels come to Europe soon. Won't hold my breath though! Missed out on the last resident evil sale, and my wife didn't let me hear the end of it so I guess I'll be picking that up. I'll skip TP and save my money for Zelda U and Fates (NoE do it already). Gonna keep mentioning Super Mario Advance 4 (plus eReader levels) til NoE wakes up. @Aurelis NOA is the one who's snoozing bro!! Way behind noe! @coolaggro : The production of the Zelda games would not affect the production of Advance Wars in any way. Advance Wars is developed by Intelligent Systems (who also develop games in the Fire Emblem and WarioWare series). @sillygostly Sure! I was just trying to convey how badly I want a new Advanced Wars. I love FE and loved Codename STEAM and am confident they're already working on another great game but there's not a lot that I want more than a new Advanced Wars. @Scapetti Thanks for that! Think I'll go for Wii U over 3DS version, but waiting for Nintendo Account etc just in case. @ToniK Thanks, think I'll go for the 3DS version as it was the original console it was released for and the console originally intended for. I picked up grumpy reaper just on whim! First 3 mins were good! However I can't actually play it as crashed my Wii U 3 times in space of minutes! I've try contact enjoyup but no luck! @joey302 Lets just say they're both not on the ball, compared to Japan, that's for dang sure.